Years ago I received a bat brooch as a gift and wore it every halloween. Last year, I decided to turn it into a necklace – well, I kind of broke it. So now I am on the look out for something to take it’s place. Now my favorite is Batsu, center stage, from Australian designer Corky St Claire. So although my heart is set on him, I don’t think he’ll get here for Halloween. Corky, please tell me – will Batsu be home for the holidays?? Well, I’ve told you my favorite, now you tell me yours. The designer with the most votes will be a featured designer on the blog. These are all great items, but my fav is Going Batty by VisionQuest. They are all so cute, but my fav is Visionquest – her sense of style is so simple and modern. Such a talented artisan! I like the one by visionquest – very crisp and clean! Hands down… my vote is for #5 – Axelhoney. Fantastic sense of dark humor, if Sally wore a necklace in "The Nightmare Before Christmas" THIS would be the one she wore. I love bats and the bat by Vision Quest is my all time favorite! 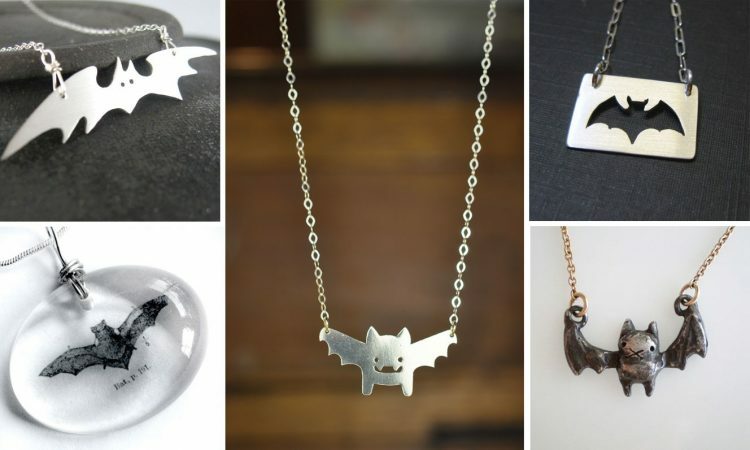 I love the vampire bat necklace. I love this post. Cute idea with the quiz. I want to do that. I like Batsu! cute little face on him!